06/12/2006 - Operations that trigger the requirement for employers to provide washing facilities on construction jobsites under 29 CFR 1926.51(f)(1). Title: 06/12/2006 - Operations that trigger the requirement for employers to provide washing facilities on construction jobsites under 29 CFR 1926.51(f)(1). Re: Operations that trigger the requirement for employers to provide washing facilities on construction jobsites under 29 CFR 1926.51(f)(1). This is in response to your letter dated September 25, 2005, to the Occupational Safety and Health Administration (OSHA) regarding the requirements of 29 CFR 1926.51(f)(1). We apologize for the delay in responding. Question: Section 29 CFR 1926.51(f)(1) requires that "employers provide adequate washing facilities for employees engaged in the application of paints, coating, herbicides, insecticides, or in other operations where contaminants may be harmful to employees." We are an employer performing electrical construction work. Part of this work involves contact with: a corrosion preventative that coats Rigid, I.M.C. and E.M.T. conduit as well as AC and MC flexible metal covered cable; cutting oil used to thread and prepare the conduit; conductivity enhancing compound; glue used for connecting PVC conduit; and a compound used for "fire-stopping." Each of these cause eye and skin irritation, and the glue is also combustible, corrosive and poisonous. None of these materials are readily or adequately removed with waterless hand cleaner. When doing this work, do the requirements of 29 CFR 1926.51(f)(1) apply? A plain language reading of §1926.51(f)(1) and specifically, the "in other operations" clause emphasized above, indicates that OSHA intended to require employers to provide washing facilities when performing a broad range of activities beyond just "the application of paints, coating, herbicides, or insecticides." 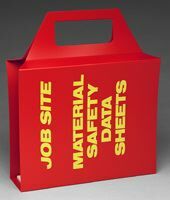 Note that a good source of information regarding a hazardous chemical is its Material Safety Data Sheet (MSDS). 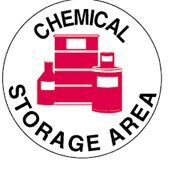 An employer's obligations to make the MSDS for a hazardous chemical available to employees are described in 29 CFR 1910.1200, which is applicable to construction employers by §1926.59 (Hazard Communication). These standards can be viewed on OSHA's website at: www.osha.gov. (under "Laws and Regulations in the right hand column, click "Standards"). If you need any additional information, please contact us by fax at: U.S. Department of Labor, OSHA, Directorate of Construction, Office of Construction Standards and Guidance, fax # 202-693-1689. You can also contact us by mail at the above office, Room N3468, 200 Constitution Avenue, N.W., Washington, D.C. 20210, although there will be a delay in our receiving correspondence by mail. 1 We have not ascertained whether the materials you describe in your letter are in fact harmful to employees. 2 See OSHA&'s July 20, 2005 letter to Mr. James W. Banford, Jr. for further information regarding the Agency's interpretation of what constitutes adequate washing facilites under §1926.51(f)(1).